RIAC :: A Joint Nuclear Force? RIAC website featured a remarkable text by Ira Straus, Chairman of the Center for War/Peace Studies in New York. The idea of overcoming the impending deadlock in nuclear disarmament (including involving third countries) through the creation of a joint Russian-U.S. nuclear force based on armaments which we would like to reduce but can’t throw away for one reason or another, impresses with its boldness and deserves a discussion, despite the obvious (next to impossible) complexity of its implementation. The pacifying of Russian-U.S. relations and the interest of third countries in being included in such a system, indeed, can lead to a subsequent "U-turn" in the proliferation of nuclear weapons. It seems useful to try to identify specific nuclear weapons systems that may be put under joint command without serious damage to the existing strategic stability. Based on the original idea, we can distinguish two characteristics of such systems: those which are obsolete and those suitable for solving deterrence and/or strike missions against third countries. 1) Single warhead ground-based intercontinental ballistic missiles (RS-12M Topol, LGM-30G Minuteman III). 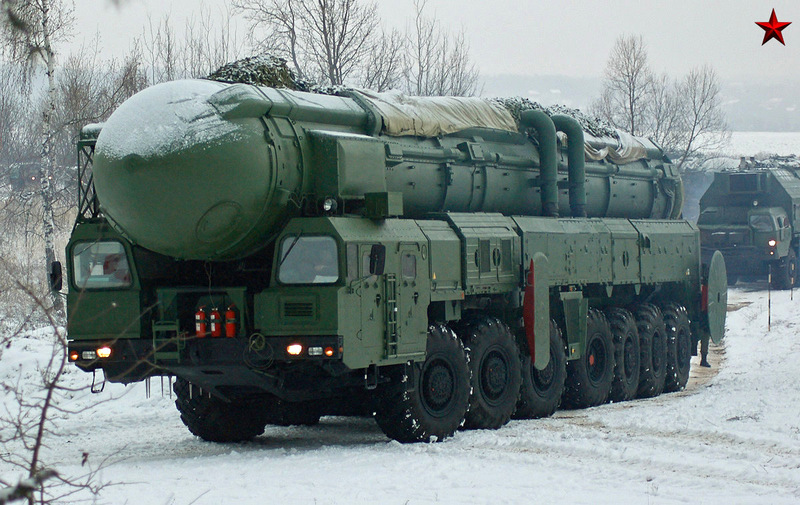 The first generation Russian Topol has been deployed since 1988 under the expectations of a possible mutual ban for MIRVs. According to available information, up to 90 ICBMs are in service. As a "launcher" under START III, this system remains one of the most numerous, however, if we recalculate “in warheads”, its value seems significantly lower. In turn, U.S. land-based ICBMs are much more venerable, and the very need to preserve the land element of the nuclear triad causes regular debates. The main argument of the supporters of land-based ICBMs is using silos as "magnets" for enemy strikes, thereby forcing them to allocate a smaller number of assets to aim at other targets. The argument of their opponents is that it is difficult to maintain combat readiness on steady objects, which are not usable in scenarios other than a full-scale nuclear war, while spending considerable sums of money on these objects. The MM-III replacement program for the new generation of "ground-based strategic deterrent" – GBSD – must be considered as well. According to the most recent estimates, it will take up to $ 140 billion to develop and deploy the new GBSD (with a total production of more than 600 rockets), which has fueled up the discussion. If the proposed idea of a joint Russian-U.S. force was implemented, the combination of Russian TELs and American silos (together with maintaining a normal process of life extension and limited modernization) would give the military and political leadership of the two countries a good tool for restraining other nuclear weapons owners, both practically and “ideologically”. Moreover, our states would have an additional supply of "slots" for an optimal composition of national strategic nuclear forces within the framework of agreed ceilings. There is no need to "merge" these systems into a single pool in full - we can start, say, with an equal number of 50 launchers. 2) Russia has a fleet of three second generation 667BDR Delta-III SSBNs of the in the Pacific Fleet. 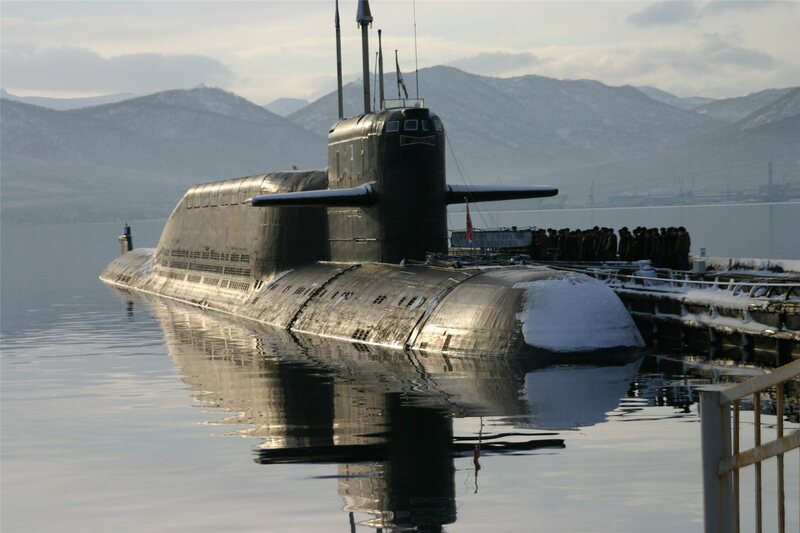 New strategic submarines of the 955 Borei-class are replacing these submarines[i]. The U.S. are launching the Ohio Replacement Program, but finding an equitable solution seems to be a difficult task. Symmetry is not the ultimate goal of the process under consideration, so it would be perfectly possible to add the marine component to the "blend pool" unilaterally, for example, in the form of the distinguished K-433 "St. George the Victorious". K-433 "St. George the Victorious"
3) The situation is contradictory regarding the air part of the strategic triads,. Both the Russian and the American sides note the controversial nature of the START-III counting rule: a single warhead for each heavy bomber with the actual possibility of deploying a significant number of cruise missiles (or free-fall/guided bombs) on each of them. It is assumed that each party can take advantage of this "loophole" in their own interests. At the same time, it is in this area that a kind of a breakthrough in arms control seems possible - while the expert community is struggling over approaches to strategic non-nuclear systems, official information on the number of "denuclearized" Heavy Bombers of the US Air Force is already published within the established procedure. In addition, the air component is best suited for demonstrative activities, which are used actively by both the Russian and American sides, regularly sending their aircraft to the borders of their “partners”. 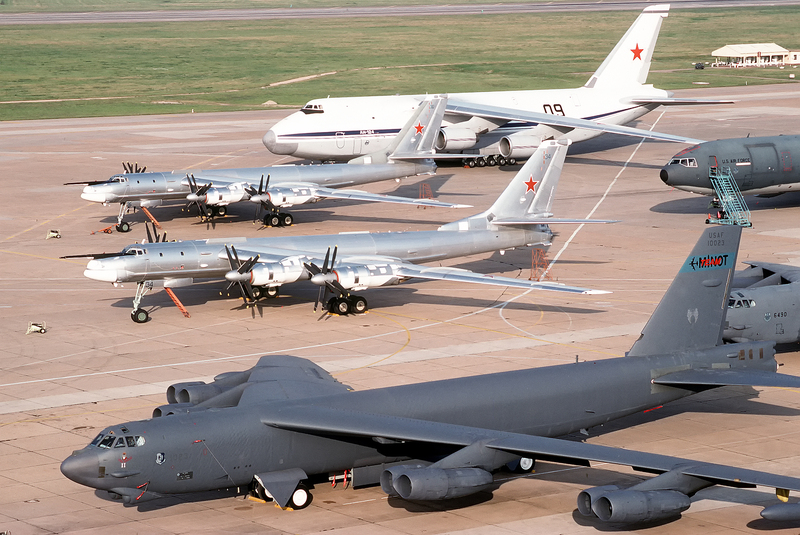 Therefore, the formation of a "joint squadron" from Cold War veterans - B-52H and Tu-95MS (with a bigger number of Boeing "Fortresses" as part of compensation for the Russian SSBN on the Pacific theater), united organizationally but not geographically and equipped with old-school cruise missiles, has lots of potential. 4) The issue of non-strategic/tactical nuclear weapons is of particular interest, but this area is complicated by several serious factors. First, the US nukes in Europe play a system-forming role within the framework of NATO's nuclear exchange program. It is unlikely that the Alliance will agree to unite with Russia at some level, at least in the midterm. Russian TNW are placed on central storage bases within the framework of "de-alerting", so any deployment may lead to unnecessary immersion of partners in purely internal procedures. In total, there would be more than 400 estimated warheads, which automatically makes the joint force third-ranking in the world, right behind the national nuclear forces of Russia and the United States. The task for such a combat team will be singular and simple - the containment of a nuclear conflict anywhere on planet Earth, which should be stated directly, perhaps recalling the classic science fiction of F. Herbert. In the Dune Universe, Great Houses retained atomic weapons, however any use of it against humans led to inevitable retaliation under the Great Convention. True, even this system failed to bring eternal order and peace, but that is a completely different story. Breaking through the current impasse with such a daring approach is very appealing. The desired outcome is certainly difficult to achieve, but even a discussion of such a project itself will be a significant result. [i] There is a practice of Delta III reconstructed into special-purpose submarines - carriers of ultra-small submarines, - but this is a topic for a separate conversation.